Simply put, waterfalls on the Big Island of Hawaii are some of the world's finest. 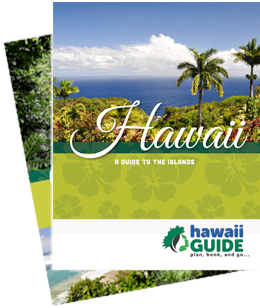 The lush green northeastern coast- the Hilo and Hamakua Coast regions- is home to lovely tropical gardens nourished by the abundant rainfall the area receives. And this rainfall provides lots of opportunities to appreciate the island's falls. The best part? What takes a waterfall from "beautiful" to "spectacular" is height- and Hawaii's falls undoubtedly have it! Big Island is home to some of the tallest falls in the state. Below we've included links to several of the best waterfalls on the Big Island, most of which you can see without a helicopter (all falls visible from the air only are noted). And while you can certainly get to some of these places on your own, a great way to see the highlights is by booking a Big Island Tour with The Volcano Van. On the list of Big Island of Hawaii waterfalls below, we've included the height of the falls, a ranking, have noted if it's a seasonal waterfall, and have added any additional information as necessary. If you think you've located a Big Island waterfall we've omitted, please contact us, and we'll make sure it's added. Also, be sure to check out all the waterfalls in Hawaii on our Hawaii Waterfalls page. If you're looking for the best Big Island waterfall adventures, then look no further. Our featured listings highlight those tours that combine exceptional waterfall experiences, professional guides, and more fun than you can imagine. Whether you want to soar over the falls or dive right in and swim them, we have the tour for you. Book any of these great Big Island waterfall tours today! Some of the world's best waterfalls can be found on the Big Island, and we've assembled some of the most popular here. Discover where they are, what to expect, and what makes each of them so very special.